Photo by Daniel Avila, NYC Parks. In 2016, NYC Parks created a Wildlife Unit in response to the city’s rising wildlife population and the challenges they present—more than 600 native wildlife species currently call our city home. The unit serves as an informed resource for citizens and policymakers, and aims to create a future where urban animals are an understood and appreciated part of the city. Raptors—birds of prey that include red-tailed hawks, peregrine falcons, ospreys, and great-horned owls—are a major focus of the Wildlife Unit. These birds nest throughout the five boroughs from March through August. You’re bound to spot them if you keep your head up—last year, there were at least 20 red-tailed hawk nests in Manhattan alone. The unit is helping to track and protect the city’s raptors by conducting raptor nest monitoring throughout the five boroughs. The Wildlife Unit has begun tracking raptor nest locations in order to estimate the number of birds and their young. This information allows us to take proactive steps to support the raptor population, such as erecting nesting platforms in ideal nesting locations, and sharing nest locations with park managers and Urban Park Rangers, who help to monitor the birds. The data gathered from this project shows us which and how many raptors can be found in NYC. For example, eight pairs of ospreys have been nesting by the waterways of Freshkills Park. This is an ideal location for them because ospreys also feed on fish, and the numerous creeks in Freshkills Park provide plenty of fish for the osprey to hunt. These ospreys will likely return to use the same nests at Freshkills next year since osprey use the same nests year after year. 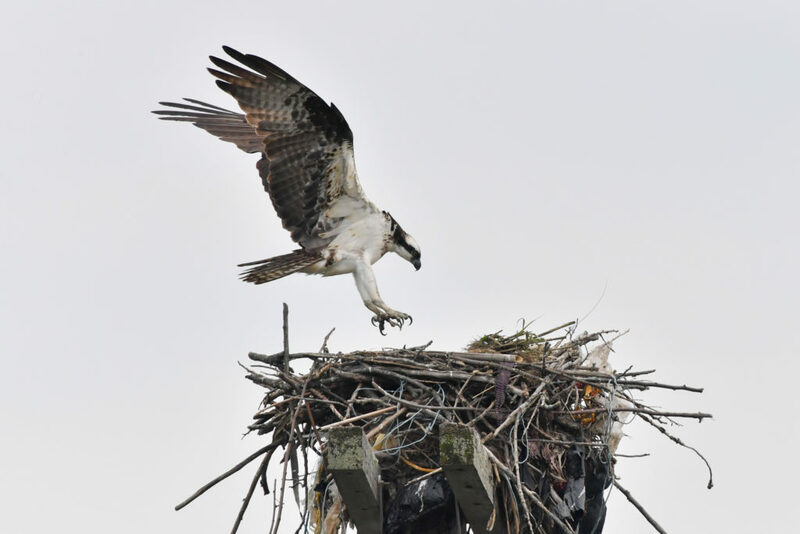 Knowing that ospreys have found a home in Freshkills Park, and knowing where raptors are nesting in general, allows the Wildlife Unit to develop effective policies to help protect them in the future. The public can help NYC Parks track the movement of raptors and other wildlife by reporting wildlife sightings on the WildlifeNYC website. For those seeking out wildlife sightings, Parks recently created an Urban Wildlife Calendar, which outlines specific months and locations where New Yorkers have the best chance to view the city’s native wildlife in action. You can also appreciate wildlife by taking part in upcoming events with Urban Park Rangers, such as birdwatching and catch-and-release fishing.